Liverpool against Chelsea – a fixture with a rich history. 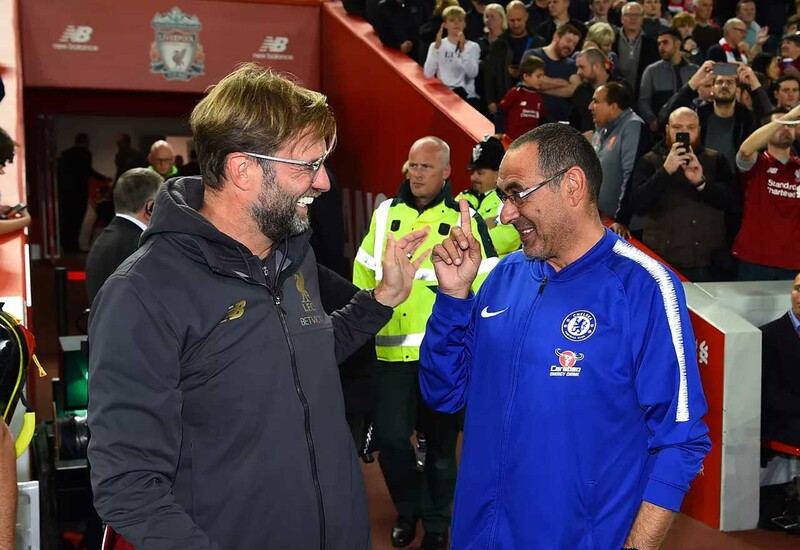 The two teams may not have been tussling for position at the top of the top division in the decades before Roman Abramovich’s purchase – but they sure as hell are now. Though Chelsea are not in the title race this term, our contributions could prove decisive if we are able to bag a result at Anfield this afternoon. Liverpool are pushing Manchester City until the very end at the top, which is testament to the quality they have within their ranks. Chelsea are no pushovers themselves, however. Though our performances haven’t reflected it at times, Maurizio Sarri’s squad is strong. In a parallel universe in which the two teams joined forces, the rest of the league, and potentially Europe, wouldn’t stand a chance – but who would make the cut? Alisson v Arrizabalaga: We adore Kepa and think he’s been excellent for us this term, but you have to pick Alisson, he’s one of the best there is. Alexander-Arnold v Azpilicueta: Azpi, no questions asked. TAA may surpass him in the future, but there’s no discussion at the time of writing. Matip v Rudiger: This is a tough one, considering Matip’s improved form, but as a package Rudiger would be our preference. He’s a natural leader. Van Dijk v David Luiz: Er, yeah, let’s just move on. Robertson v Emerson: Credit to the man they call ‘Robbo’, he’s progressed considerably since signing for them. Arguably the best left-back in the league at the minute. Fabinho v Jorginho: Fabinho has been left out in the cold at times, but has been Liverpool’s best player in 2019. Unfortunately, we have to pick him. Keita v Kante: N’Golo. Every day of the week – even on Sundays. Wijnaldum v Loftus-Cheek: If he’d been given more of an opportunity, this would be inarguable. Loftus-Cheek gets the nod from us. Salah v Hudson-Odoi: Maybe one day our Callum will be able to eclipse him – but not yet. Salah’s one of the first names on the team sheet. Mane v Hazard: Sadio Mane is utterly brilliant and has proven it this term. Let’s be honest, though, nobody’s getting in ahead of Eden. Firmino v Higuain: A couple of years ago Gonzalo would have this one. Not anymore, though, Firmino’s streets ahead of him.